For less than the cost of lunch, you can change a life! 25 meals or 30 bus tokens. 15 meals or 2 identification card. 7 meals or 1 birth certificate. 3 meals or 1 toiletry bag. 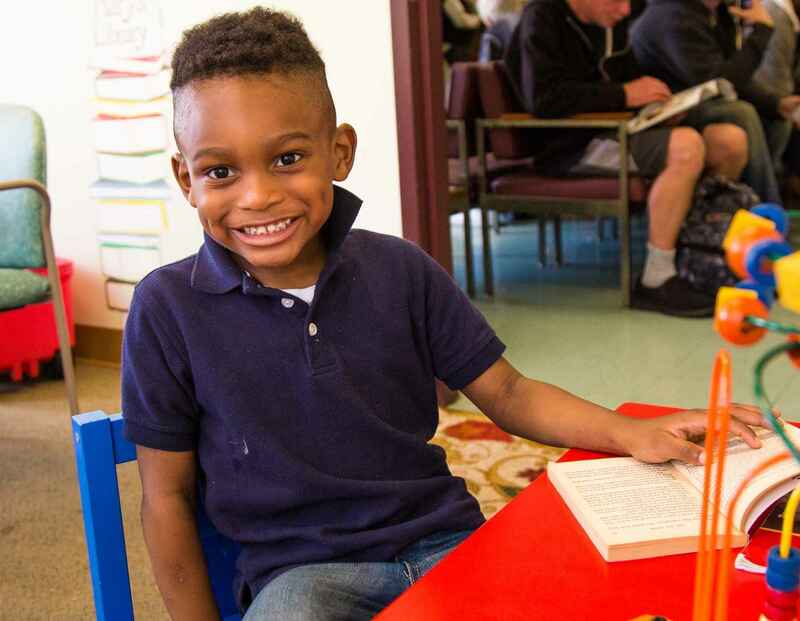 The Franciscan Center serves as a one-stop shop for families and individuals in crisis from throughout Baltimore, helping them to achieve stability in difficult times and begin building self-sufficient lives. We make every dollar count – so your monthly donation of any size can have a huge impact! Just $10 a month provides food for 3 hot, healthy meals or a bag of personal hygiene products for a neighbor in need. For $25, you can feed 4 people each month or remove a critical barrier to services by providing a birth certificate for someone lacking this critical document. $50 a month provides food for 15 meals or two Maryland State issued identification card for a man or woman in crisis. For $75 a month, you can feed 20 people or remove a barrier to employment by providing transportation. Set up your monthly donation to the Franciscan Center TODAY, and begin changing lives. It's a SIMPLE, AFFORDABLE and POWERFUL way to make an important difference in our community – and the first $5,000 of monthly donations will be matched dollar-for-dollar by a generous benefactor! Please contact Jaron Henry at jhenry@fcbmore.org with any questions, or if you need assistance. Thank you in advance for your support!